As a company that specializes in search engine optimization, LinkNow Media knows as well as anyone how important reviews are for any business’s online presence. Reviews don’t simply let potential customers know what previous customers think about your business, they are also a snapshot of your business’s reputation for search engines. The primary objective of a search engine is to provide its users with what they are looking for. When they can deliver accurate results, it boosts their own credibility. For example, if you were to search for The Silence of the Lambs, you would probably be less likely to continue using a certain search engine if it gave you a bunch of results about why lambs can’t speak versus information about the classic movie you are looking for, wouldn’t you? It’s the same principle when people are searching for a specific service your business provides. When someone in your area is searching for something that your business provides, the search engine wants to display the best results. But how do you measure the best? When it comes to Google, it will determine the best option for its user based on the reviews people have written within their database. If one area plumber has received multiple five-star ratings, the search engine will draw the conclusion that the five-star plumbing company is the better option than a plumbing company that has no rating. Because Google has approximately 81% of the search engine market share, making sure that Google has an idea of how reliable, efficient or courteous your service is compared to the competition can eventually give you priority in the search results which typically means more business for you. A click on your website usually leads to a call. In order to practice what we preach and emphasize the importance of getting satisfied customers to review your business online, we have gathered a ton of LinkNow Media reviews on this domain. Feel free to browse around and see what people are saying about LinkNow Media’s Web design and Web marketing services. It’s important to remember that every business gets a bad review from time to time. The key is to encourage satisfied customers to add their own thoughts about your business. In doing so, your brand’s reputation will go up in Google’s books and soon your business’s online visibility will soar. As far as the SEO and marketing teams at LinkNow Media are concerned, a review is the only real way to measure a person’s experience with a specific business. According to BrightLocal’s local consumer review survey CLICK HERE FOR SURVEY, 88% of consumers read reviews to determine the quality of a local business. Because we are constantly reminding our customers to ask their clients to review their business to improve their business’s online visibility, it would be hypocritical of us not to encourage our customers to also leave us a review. No matter what your experience with LinkNow Media was, please feel free to leave us a review and let us know how we’re doing. Want proof? Click here to check out our clients’ reviews or visit our local marketing website to learn more and find some fantastic case studies. 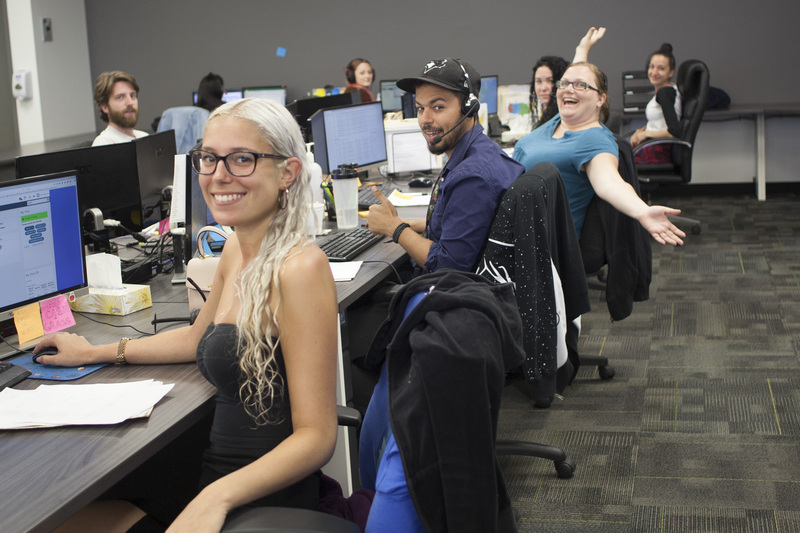 Not only does LinkNow Media provide a great product but it’s a great place to work, filled with talented individuals who put customer satisfaction over anything else.